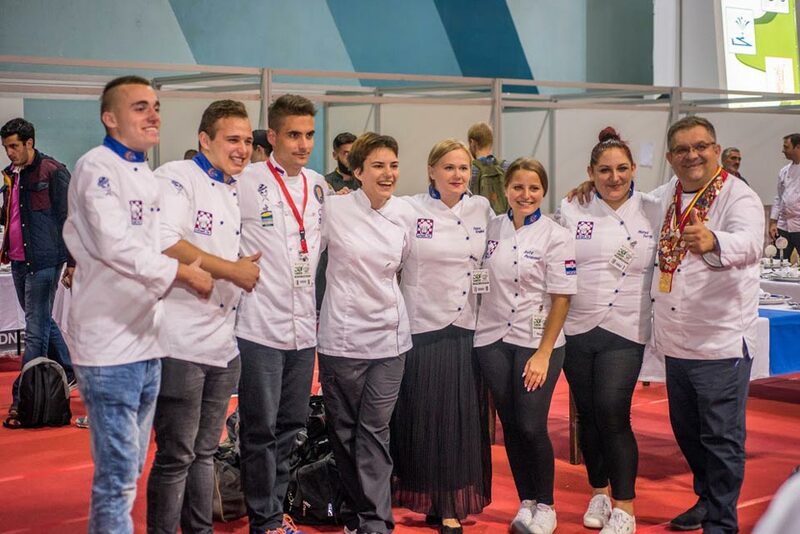 Green Valley Association , an organization that implemented a large number of projects, primarily in the field of environmental protection, as well as projects dealing with healthy nutrition and youth entrepreneurship, in cooperation with partner organizations came to the idea of organizing a manifestation of economic importance for the city of Novi Sad.Guided by the fact that almost all the countries in the region have massive competitions gathering chefs, kitchen chiefs, young catering businessmen as well as various guests and observers, we came to the idea of organizing such a manifestation in Novi Sad, a city that certainly has the greatest potential for such a form of competition. Novi Sad, in all aspects, deserves one such gathering. 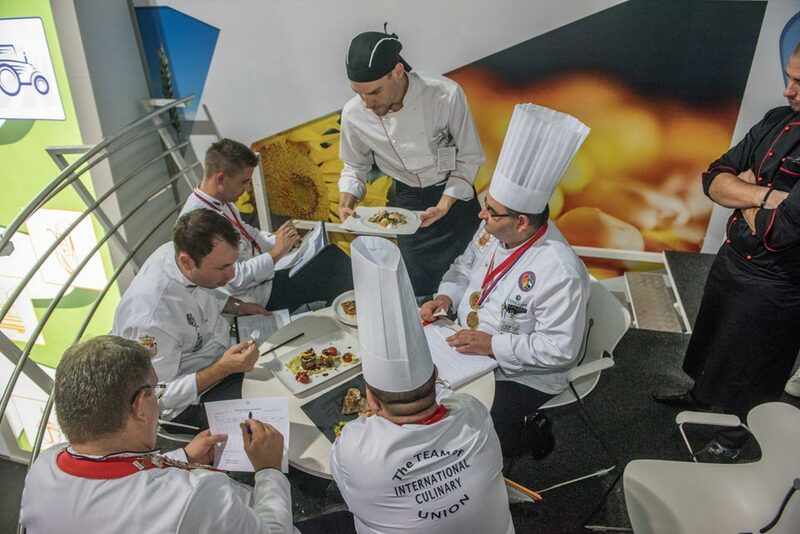 Geographical location, multi-ethnicity, festival tradition, one of the best catering schools are all preconditions for a serious competition. 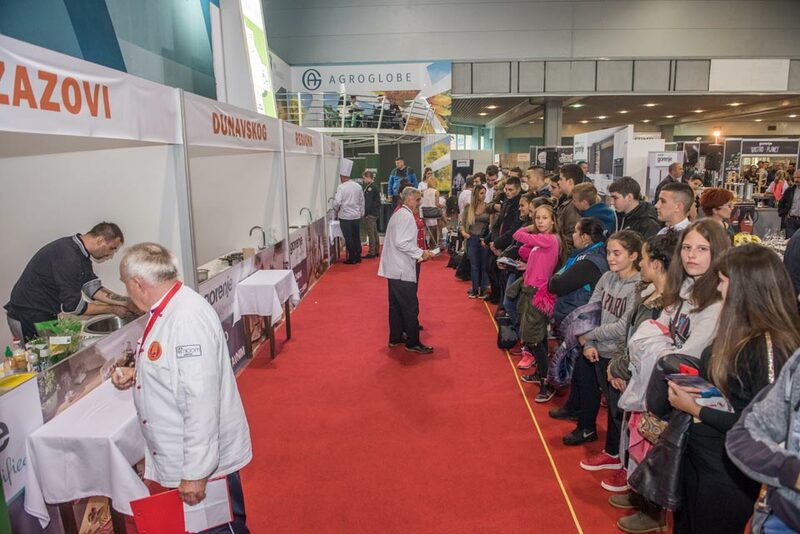 This perspective was also recognized by the management of Novi Sad Fair AD, which organized the competition of secondary and higher schools, which was an excellent overture and the basis for which the realization of our project of senior competitions was rounded off in the best possible way. 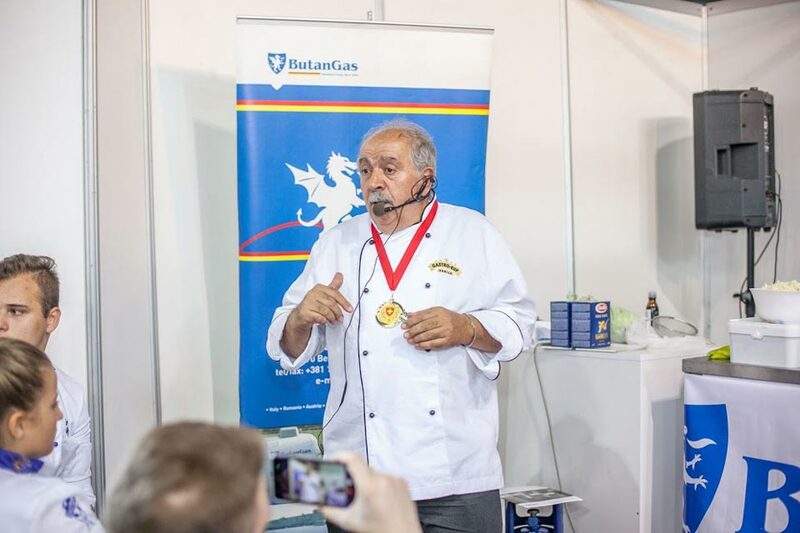 Substantial international experience of our senior competitors ,culinary associations on the domestic and international level who took part in our competition created the conditions for future caterers to get acquainted with all the advantages and disadvantages encountered in this industry. During this event, our senior competitors were given the opportunity to exchange experiences with colleagues, promote their catering facilities and gain new acquaintances in order to raise the level of economic activity in the city of Novi Sad. Also, realized businessmen caterers had the opportunity to get to know the greatest talents coming from secondary and higher catering schools. The very place in which the competition was held, which is the Novi Sad Fair, has from the start provided a great capacity in terms of infrastructure and space. The festival itself took place on 100 square meters where kitchen installations with electricity and water were installed. 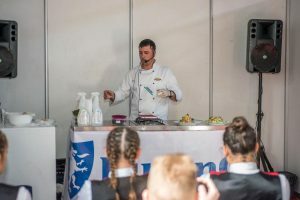 Initially, planned to be five, with junior representatives of secondary schools and hospitality academies would compete in the morning hours, starting at 11 am, with seniors competing in the afternoon starting at 3 pm and closing at 7 pm. In the end, such a timetable was achieved in addition with a presentation kitchen, which our association, with the help of the partners from the HoReCa Association of Kragujevac, provided all of the festivals necessities, while during the three days of the competition lectures were held and experiences exchanged between experts in the field of coulinary arts. The partners who took part in the festival were Culinary Association of Serbia, Culinary Federation of Serbia, Association of chefs of Serbia and HoReCa Association from Kragujevac. 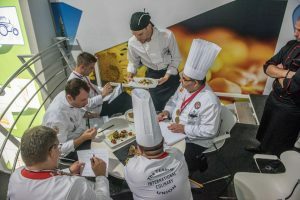 Such a team has guaranteed that the festival would be under the regulations of the World Association of Chefs Societies, which is of great importance given that the festival was of international character from year one, and that the entire team of judges possessed the licenses from the formetintioned international organization based in Paris, and thus the competition was fully implemented according to the rules of this international association. Judicial team consisted of: Jury President – Dejan Stankovic, President of the Association of Chefs of Serbia, Jordan Nastanović, professor of confectionery at the Academy of Hotel Management and President of the Judicial Team of the Culinary Federation of Serbia and Milos Jovanović, Chairman of the Board of Directors of the Chefs Association of Serbia. Coordinator of the competition was Vujadin Vujadinović, President of the HoReC Association of Kragujevac.Coordinator of the competition was Vujadin Vujadinović, President of the HoReCa Association of Kragujevac. 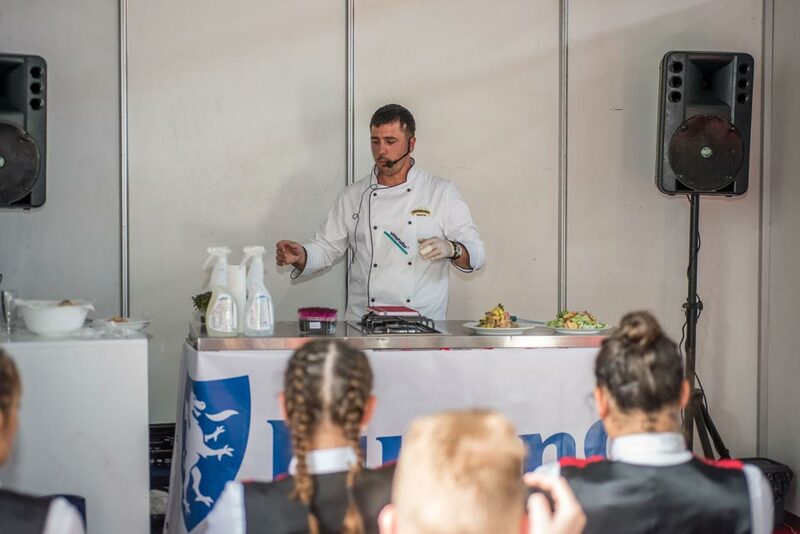 Lecturers at the Gastro Cup Serbia 2017 were: On day one – Dusko Miladinov on “How to become a Chef, challenges and temptations”, while the third day lecture was held by Stambol Geštamov, President of the Culinary Association of Serbia on the subject of GMOs and their adverse effects. On the second day our Bulgarian and Romanian guests have used to present some of their specific national cuisine. The festival lasted three days along with LORIST fair has completely fulfilled our expectations. During the three days of the competition, the timetable was fully filled and, in addition to the original three categories of T1 – pasta dish, R2 – freshwater fish and M3 – modern beef fillet, two more categories were added ST1 – Cake exhibits with autumn theme and K1 – Free theme carving. 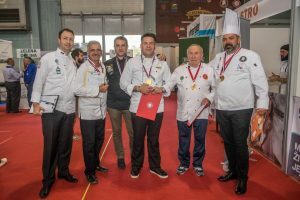 Along with Serbian competitions, participants from Montenegro, Croatia, Bosnia and Herzegovina, Bulgaria and Romania also competed. Our partner organizations, with the help of their contacts from the world of culinary arts, have insured the attendance mentors with their competitors, which significantly elevated the competitions. According to the WACS proposals, a mentor from each country has the right to actively participate in the judging process and in some way acts as a universal mentor to ensure that everything proceeds in a fair atmosphere. 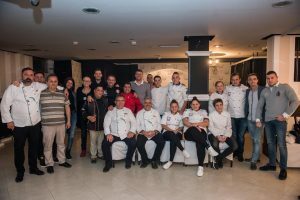 Guests such as Erih Glavica from Croatia and Stambola Geštamova from Serbia and Miljenko Stjepan who came from Liechtenstein to support the Gastro Cup of Serbia in its first year really meant a lot to us. 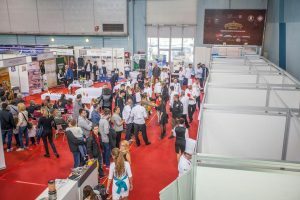 The judicial process was strictly in line with the rules of other international competitions throughout Europe and we are delighted that in our first year we immediately achieved the quality of such a competition, although our quantity was limited due to the working hours of the fair itself. 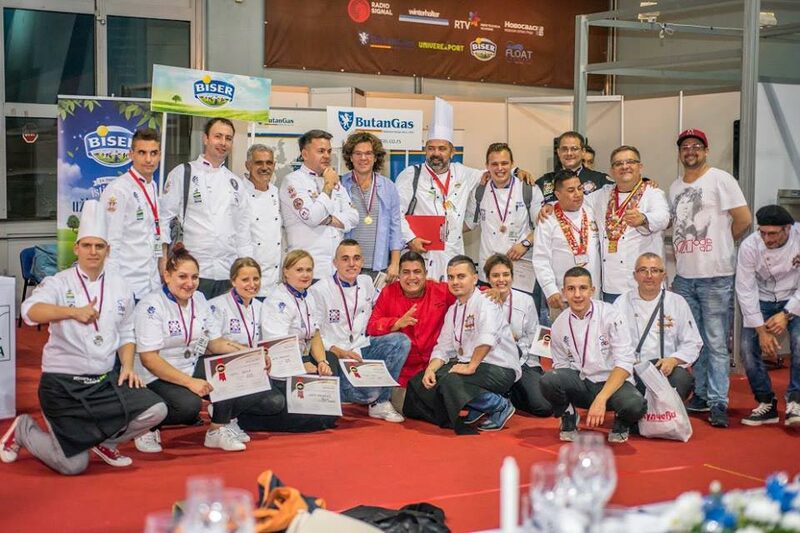 What is most important to us is that everyone from the first Gastro Cup of Serbia has had a pleasant experience. The festival program is designed so as to cover a wide range of interests. Our intention of gathering a large number of successful businessmen from the country and the region has been successfully achieved through the competition. 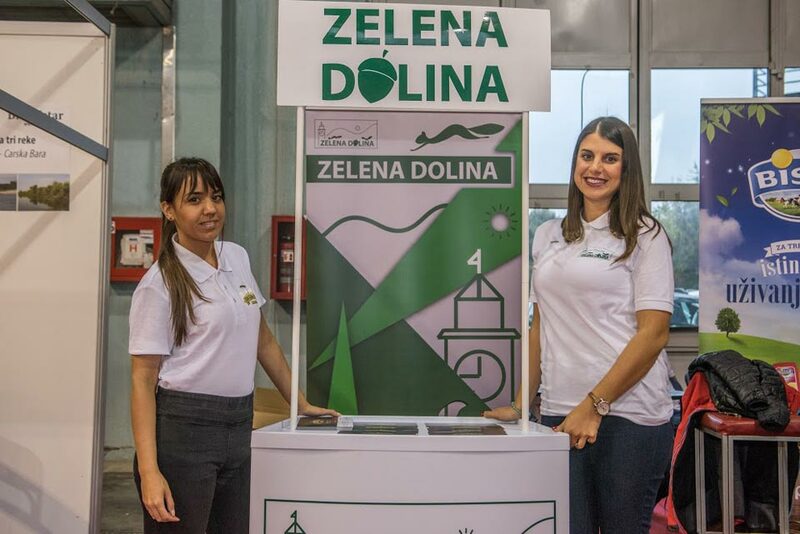 Given that everything took place during the tourism fair in Novi Sad from the 5th to the 7th of October, our accomplished businessmen had a great opportunity to promote their catering facilities so that future tourists of Novi Sad knew what they could see and taste. 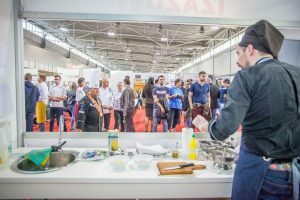 During the festival, many catering businessmen, food manufacturers and distributors, kitchen equipment manufacturers, restaurants and hotels had the opportunity to promote their products. In this way, a very large number of participants had a direct benefit through promotion at the tourism fair, which is visited by about 40,000 people on average. We are also particularly pleased that accomplished businessmen and caterers, as well as renowned Chefs from various kitchens of famous restaurants and hotels had the opportunity to meet the young talents that competed in the festivals junior event that was organized by the Fair that gave birth to the idea of partnership. 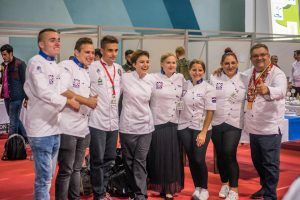 Employment of young talents and in general young people in Serbia is certainly a priority, and through socialization and interaction with other participants of the same profession has certainly created the opportunity for some of the young competitors to find a future employer. These young people had the opportunity to learn new techniques of preparation or to say in the culinary world: small secrets of great masters. Lectures held by the chefs during the competition were not only of great importance to them, as discussions were held on various topics from the world of gastronomy, but also for young participants who have learned many new things. The festival has networked with other festivals of this type throughout Europe with the help of the contestants themselves. We are confident that the number of competitors will increase from year to year and that in the future this competition will be an integral part of LORIST fair in Novi Sad. 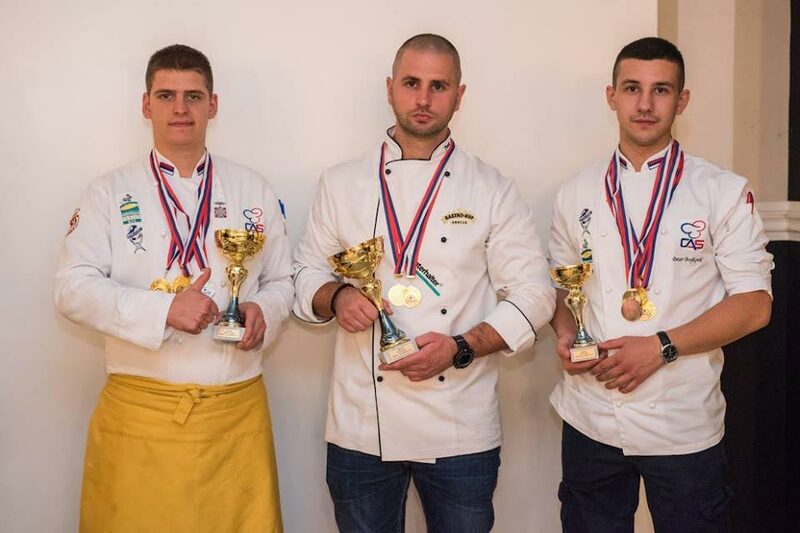 The most important goal that has been achieved is certainly grab the attention of many economic organizations from the field of gastronomy from the country and abroad for Gastro Cup Serbia. 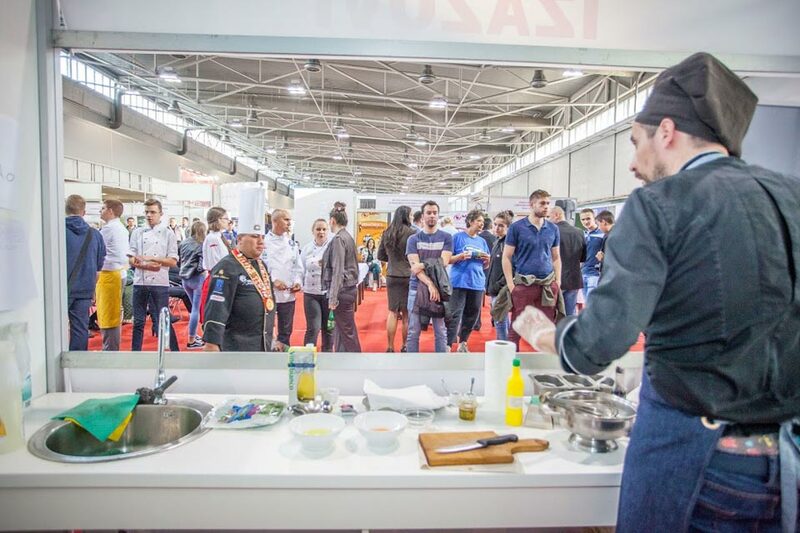 Collaboration has been offered by many organizations from the culinary industry with the intent to participate in the festival as well as caterers and hoteliers who wish to promote themselves during the festival for years to come. 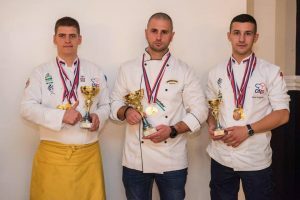 It is our wish that Gastro Cup Serbia becomes an integral part of the festival calendar of the city of Novi Sad as is the desire of all of us involved in the realization of this festival that it becomes tradition and that the City of Novi Sad holds a serious international culinary competition. Tourism is one of the most prosperous branches of Novi Sad, the city’s sightseeing tours, by some unwritten rule, tend to end with a visit to a restaurant with local cousine. 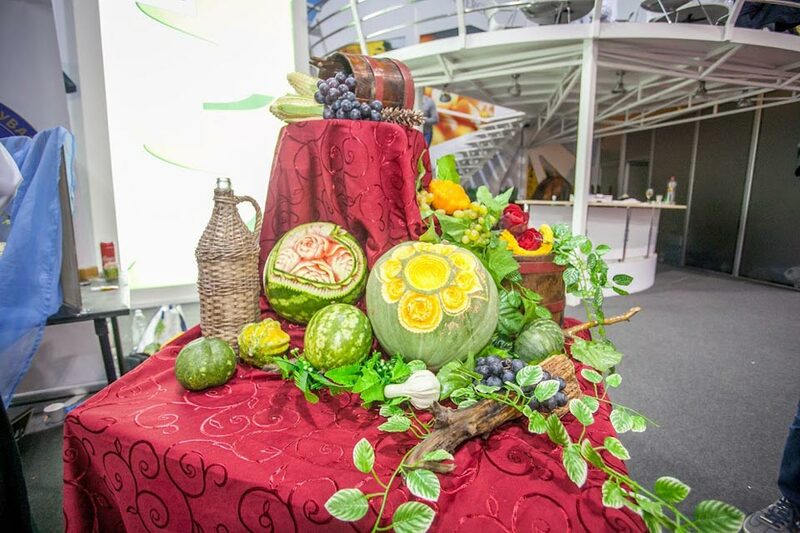 The variety of gastronomic offers is an integral part of the tourist attractions of the city, and events such as these are the ideal way to promote them. We hope that in the future more restaurants from the city itself take part in the competition. Plans for new events held during the Gastro Cup Serbia already exist and we sincerely hope that we will succeed in its future realizations to the pleasure of both domestic and foreign guests.